Being a parent of a child with special needs is hard. It’s beautiful, but it’s also incredibly taxing on the mind and body. One study in the Journal of Autism and Developmental Disorders found that autism moms have stress similar to combat soldiers. [i] On a daily basis parents of children with special needs face tremendously stressful, often traumatic, situations. And feelings of guilt, despair, anxiety, and isolation are familiar companions. There is long-term sleep deprivation to deal with, never-ending worry, medical challenges and behavior problems, and heavy physical demands on the body. Keeping pace with it all, without caring well for yourself, just isn’t sustainable. Invariably with time, even super-human strength gives way to the weight of it all. And lack of self-care will speed your arrival at a dangerous destination where things can fall apart very quickly. You must protect, at all costs, the very foundation upon which your child depends: you. As the airlines alway say, you have to put your own oxygen mask on first, before assisting others. Because if you aren’t okay, your child won’t be either. Soak in a hot bath while your spouse or older children handle things around the house for a little while. Or at the very least, find a way to take even a short shower every day. Water can be very cathartic, washing away some of your stresses. And feeling clean and new again goes a long way towards feeling like you can handle what’s next. Hire someone to work with your child. Nothing helps more than knowing you can step away from the challenges of care giving for a few minutes, while someone else steps in. Even just an hour here and there is guaranteed to breathe new life into you. Consider the hiring of someone as a medical expense, on the same level of importance as a surgery or a prescription medication that you need. Because it is! Breaks can truly be life giving for you and your family, enabling you to have the stamina to continue the work that your child needs you to do, day in and day out. Choose to sleep. Always take a nap if there’s a chance to, instead of being productive. Naps are hard to come by, but the to-do list will always be waiting. In fact, consider a rest as an investment in your productivity rather than a postponement, because you’ll be more productive after having had a nap, than if you’d pressed on deliriously without one. If your child is at therapy, the kids are at school, or you have a sitter, lay down. You need it and you deserve it. And getting even a little rest can make a huge difference. Read something for fun that has nothing to do with your child or their needs. Even if it’s only for five minutes while lunch is microwaving. Setting your mind on something that isn’t the daily grind, and pursuing something that engages you, can be a great mental uplift. Accept help that others offer. Teach them how to help with your child. Or if they can’t do that, put them to work on dishes or laundry. People who love you will feel happy they could do something for you to show they care, and the fewer things you have to do will free you up to find a few minutes for yourself. Use email or Facebook to pen pal with a parent who has a child with your child’s same diagnosis. Talking about your day with someone who can truly relate to what your life is like, can be a huge emotional lift. And it’s nice to know someone is listening and you aren’t alone. Exercise. It’s easier to feel good emotionally if you feel good physically. Physical activity releases endorphins that make you feel happy, and we can all use an extra dose of happy. Being in shape will also keep you alive and well for your child for as long as possible, and keep your body fit for the demands of care giving, reducing your risk of injuries. If the gym works for you, do it. Going somewhere to work out can be great “you time” away from things. But you can also get your heart rate up and reap those same endorphin rewards just chasing your child at the park or having a dance party in the living room. Ask for help when you need it. Don’t be afraid to send out an S.O.S. call when things get hard, or ask specific people to do specific things for you when you feel like you’re drowning. Ask a neighbor to pick up the missing groceries you need for dinner. Or run an errand for you when things are extra stressful at home. Anything that makes your life a little easier on a challenging day is a good move, and an investment in your happiness. Say no to anything that adds to your stress. And don’t feel guilty for saying no. Taking care of your child’s many needs is more than enough to have on your plate. And taking care of you is an absolute necessity for the welfare of your whole family. Prioritize yourself ahead of any obligations to anyone else. Take care of your body, so that it can take care of you. Go to the doctor right away when something is wrong. Follow through on the completion of annual exams. Take a multi-vitamin. Eat as healthily as you can manage. When you feel good, things are better. Illness, pain, and injury only make your job harder. Get outside and feel the sun on your face, and breathe in some fresh air every day. Spend a minute soaking up Mother Nature on your way to the mailbox, open your blinds and your windows, or go for a walk around the block with or without your child. Being outside can make you feel grounded and new again. There are no sweeter words than “Let’s get take out.” Having a meal done and on the table, without having to shop or cook, can really save the day. And less time cooking, means more time for you. Reach out. FaceTime with family or invite someone over. Call or text someone you know just to say hi. Cultivate relationships in ways you are able to with your given circumstances. Everyone needs a support group. The hard things in life are a whole lot harder when you feel alone. Hire someone, even just a teen in your neighborhood, to come over and clean. Having the dishes done, toys put away, and the floor mopped can feel so refreshing. And takes a few things off your overwhelming to-do list so that you have time for you again. Don’t be stoic. Keeping everything to yourself takes an enormous amount of energy that you don’t have to spare. Have a good cry if you need one. Share your burdens with someone else. Write your feelings down. But don’t keep it all in. Give a hug or ask for one. There’s something very renewing about human connection. Hugs can be healing. See a counselor and/or get on medication if you need to. There’s nothing wrong with helping yourself to get on your feet and stay on your feet. Life is hard. Give yourself every advantage to win. Don’t waste the extra energy or down time you might have, feeling low. Have music on in the background while you go throughout the day, or crank it up and dance around the living room while you put toys away. Music can feed the soul and make the daily grind a little less of a grind. Count your blessings. Especially the small ones. Even on the hardest day there are lots of simple things to be grateful for, and the mental shift from negative to positive can really ease your load. Perception is reality. So make a concerted effort to see the good. If you’re in a position to, serve someone else. Stepping out of your troubles for a moment and choosing to lift someone else, even in simple ways, can change things for the better. It’s hard to feel bad when you’re helping someone else. Be generous and patient with yourself. Acknowledge that what you are doing is incredibly hard. That you can’t know everything all at once. That even when things go wrong, that you’re still doing a lot right. Accept your child. Accept yourself. Let go of the things you can’t change. Remember that you are what makes your family’s world go round, and you are worth investing in every day. Special needs parenting is a marathon not a sprint. And though somewhat counter-intuitive, the best thing you can do to help your child with special needs is actually to help yourself. You have to be diligent in taking care of yourself because your children need you. And it’s easier to find joy in the journey when you aren’t feeling perpetually maxed out and at the brink of collapse. Be deliberate about self-care. Resist the urge to always be productive. Choose yourself. 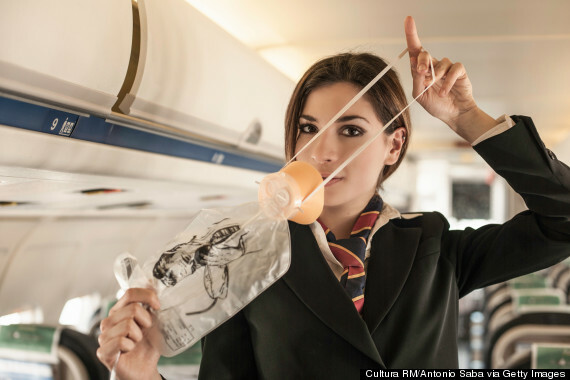 Always, always, remember to put your own oxygen mask on first.